We have often talked about headaches in the past and how it is linked to issues arising from the neck (Neck-Related Headaches and Causing Most of the World’s Pain, Anonymously). 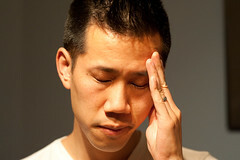 The type of headaches that we talk is called “Cervicogenic Headaches”. But often readers ask us how do we distinguish cervicogenic headaches from other types of headaches, so we described here some of the most common types. Tension Mild to moderate steady pain throughout the head, but commonly felt across the forehead or in the back of the head. Generally not accompanied by other symptoms. Can affect children, but is most common in adults. Frequency varies. Generally hours in length. Sinus Mild to moderate steady pain that typically occurs in the face, at the bridge of the nose, or in the cheeks. May be accompanied by nasal congestion and postnasal drip. Affects people of all ages. People with allergies seem most vulnerable. Frequency varies. Generally hours in length. Often seasonal. Migraine Moderate to severe throbbing pain, often accompanied by nausea and sensitivity to light and sound. The pain may be localized to the temple, eye, or back of the head, often on one side only. In migraine with aura, visual disturbance precedes the pain. Typically occurs from childhood to middle age. In children, migraine is slightly more common among males, but after puberty, it’s much more common in females. Attacks last a day or longer. They tend to occur less often during pregnancy and with advancing age. The International Classification of Headache Disorders, Cephalalgia, Volume 24 Supplement 1 2004 2nd Ed.